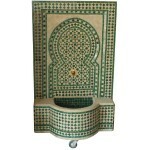 Zellige is one of the major components of the Moroccan architecture. 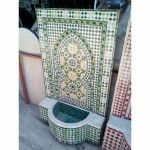 These small terra cotta tilework covered with enamel adorn the walls and floors of palaces, riads, hotels and hammams in Morocco. 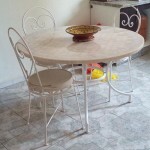 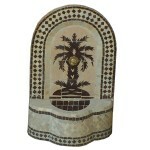 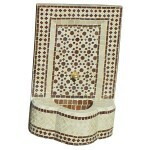 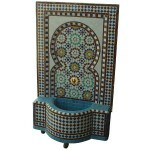 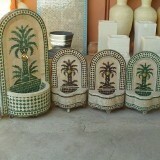 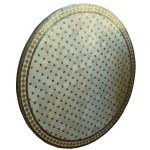 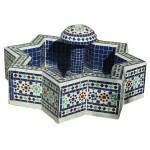 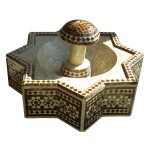 Moroccan zellij is also found in the decoration of tables and fountains, bathrooms and kitchens. 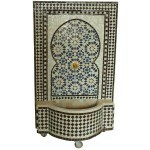 It draws traditional geometric patterns typical of the Moroccan design. 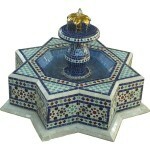 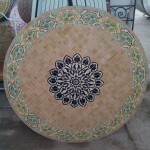 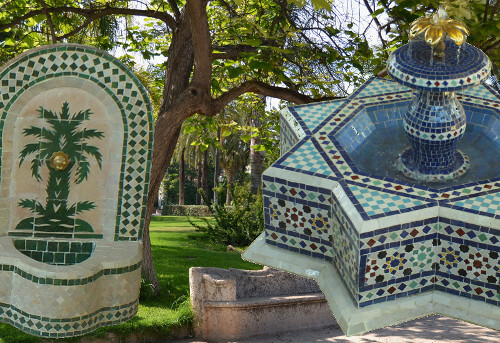 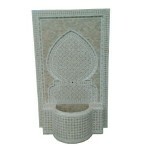 We offer you a range of tables and craft zellige fountains made ​​by artisans specialized in the art of decorative mosaic. 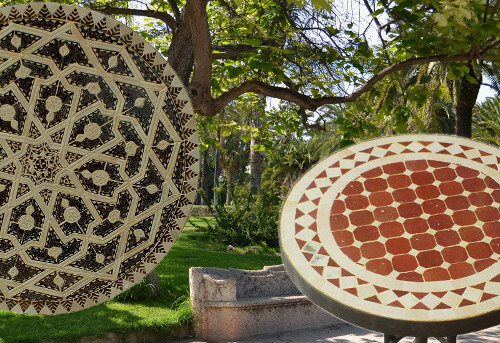 All zellij items of our catalog were made in Marrakech, with clay from deposits of Setti Fadma, a small village of the Ourika valley. 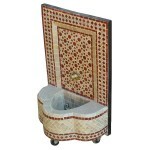 The presence of iron oxides in the clay of Setti Fadma gives her usual red-ocher color, reds like the ramparts of Marrakech. 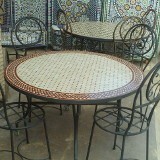 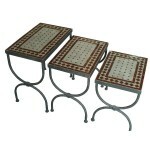 Hand-crafted Moroccan Zellij Tile Tables. 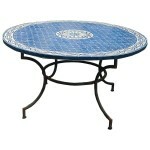 Each zellij table is hand-made according the tradition of zellij of Marrakesh with the "Morocco Handicraft" label.